It’s nearly time to start prepping your pumpkins. 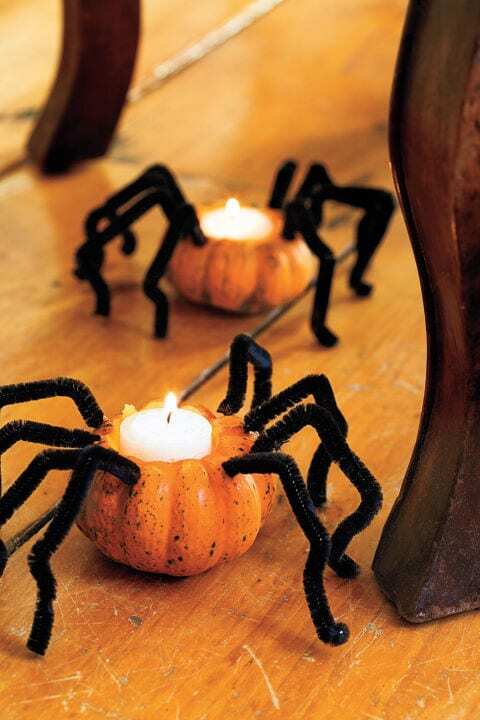 These enchanting decoration ideas will give your home a spookalicious feel. 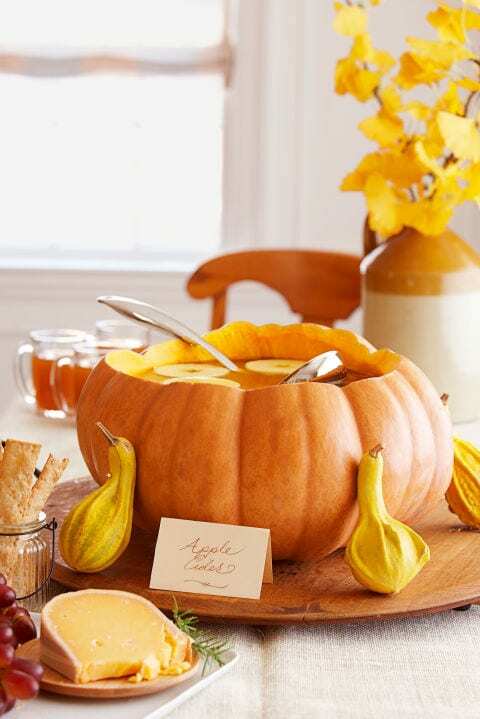 Perfect for your Halloween party, simply cut out the pumpkin and add your punch. This will create a fun focal point on your party table too. Small simple touches make all the difference. 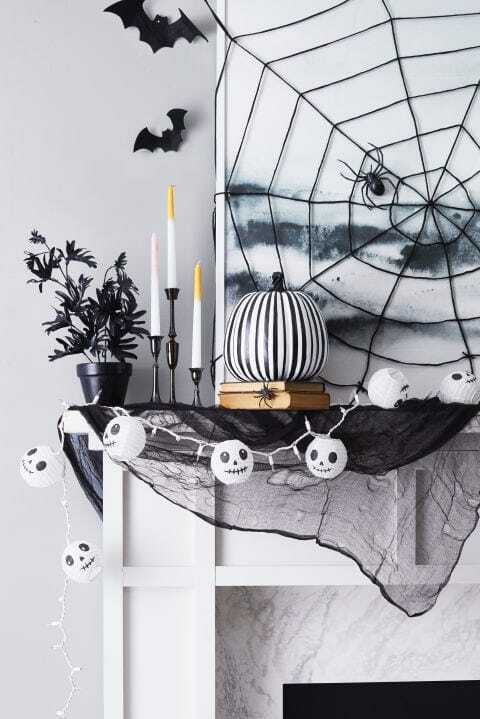 Simply get some yarn and weave a spiders web, and hang above a fireplace or a central point to really give your home an enchanted spooky feel. This simply DIY decoration is perfect for dotting round the house, garden or adding to a table centerpiece. Simply buy baby pumpkins, cut out the middle and fill with tea light candles. Next get black chenille stems and turn them into spiders legs, so eight on each pumpkin. A great activity to do with kids. This is the most fun part of Halloween prep, and what we wait for all year round. 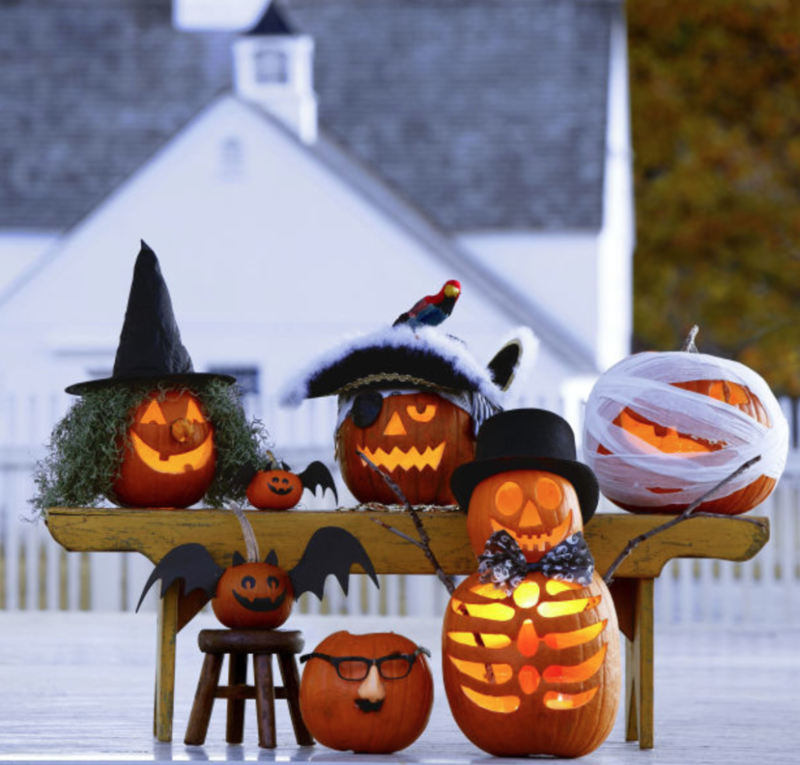 Find the spookiest accessories such as witches hats, eye patches, use toilet paper, sticks, get creative and imaginative. Make them as whacky as possible and then place by the front door for the neighbors and trick or treaters to see.